Highly regarded for his advanced techniques in replacing missing teeth with implant dentistry, Dr. Fordjour is also known for his expertise in repairing broken teeth with metal-free porcelain bonding treatments. One of the few practitioners in the Washington region with training in the use of the Biolase “Waterlase” Dental Laser, Dr. Fordjour now offers his patients “painless” state-of-the-art treatments, such as conservative fillings, treating uncomfortable mouth ulcers and correcting gummy smiles—all without the need for needles. In addition, Dr. Fordjour is also an Invisalign-Certified dentist. 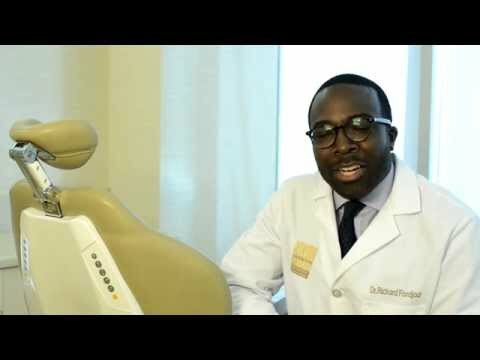 Dr. Fordjour is a graduate of historic Morehouse College in Atlanta, Georgia, and he earned his DDS degree at the University of Tennessee Health Center College of Dentistry in Memphis, Tennessee. Working to stay at the forefront of today’s most advanced clinical philosophies and treatments, Dr. Fordjour is a frequent student of master-level “Aesthetic Continuum” techniques in cosmetic dentistry at the Nash Institute for Dental Learning, in Charlotte, North Carolina. As one of the few practitioners in the Washington region with training in the use of the Biolase “Waterlase” Dental Laser, Dr. Fordjour uses his advanced training and expertise to provide his patients with state-of-the-art techniques. Devoted to clinical excellence and dazzling results, Washington DC cosmetic dentist, Dr. Richard Fordjour, offers general and cosmetic dental work.